Many would hate me for writing this article. 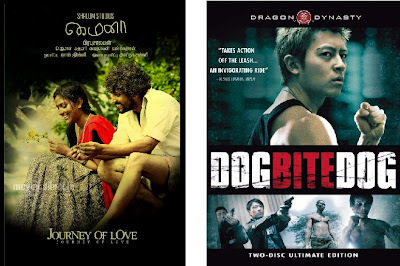 Some of the darkest secrets of Tamil/ World cinema would be revealed through this post. Some of the movies listed here are actually copied from wonderful movies from around the globe and the original movies were never given the due credit. The makers of the movie might justify their act by saying that their copied work was an inspiration and they did not copy the whole movie. But still the readers have the right to get correct information and here it is. This is not an exhaustive list. When we hear the word Roja, the two names that cross our minds are Maniratnam and AR Rahman. How could one forget the Chinna Chinna Aasai song? This movie is telecasted on doordarshan every year on India's Independence day. This movie is copied from the movie Sunflower. No credits were given too. 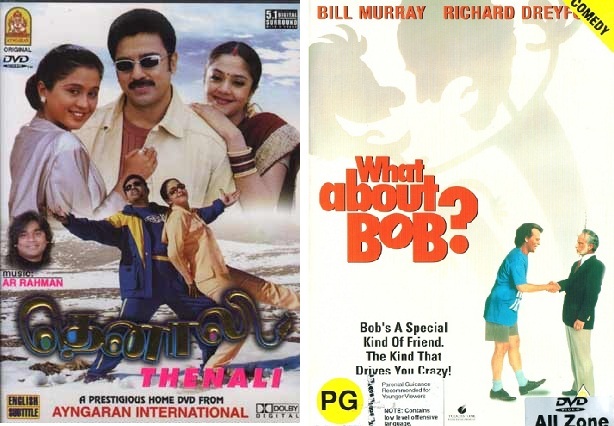 Why would a director like Maniratnam do such a thing? Maniratnam has copied many such movies. 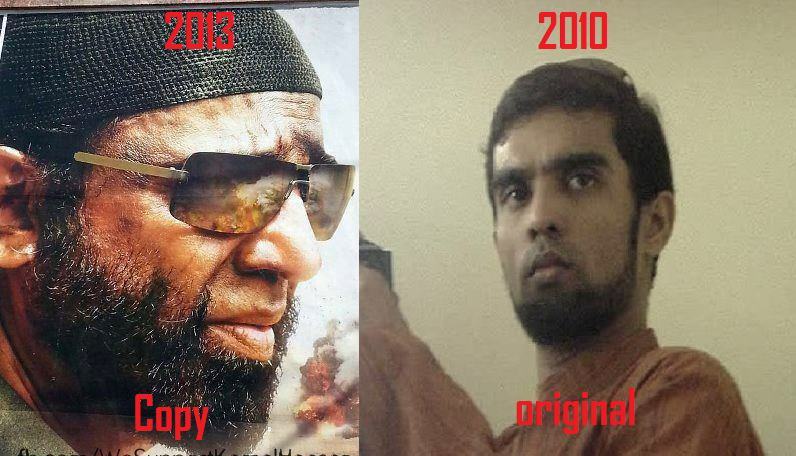 His movie Anjali is also a copied version. Note :The brain behind the last picture is my dear brother "Balaji Lakshmipathy"
Btw, you broke my heart at point 3. Point 5. Sellathu!! Ponga! Just cos two minds thought of casting a joker as the "bad" man it doesnt mean anything. This is like claiming "due credits" for a movie as they showed a gangster holding a pistol and frivolity! while 5 shocked me and me think, seriously...6 brought to me to normal... neutralizing effect of the rofl..i had.... ponga sir, neenga vera appapa comedy pannikittu..!!! About the 5 I had the same feeling that nobody given due credit to Steven Spielberg of Tamil Cinema. And the last one was like i was on the phone, and i was laughing on the call. Dammn that was too good. For once I have points of disagreement. 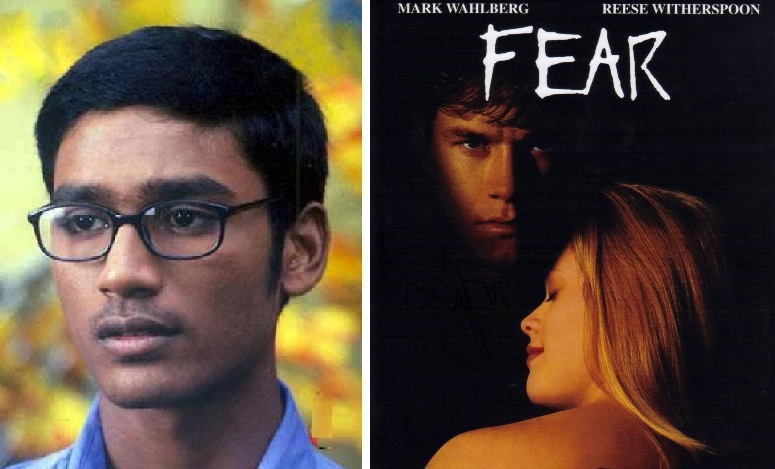 I have watched both Fear and kadhal kondein and though the tone of the films is quite similar the plots, I think, are starkly different. I don't know about the other 5, but 6th is an undeniable truth, which we see. Let us wait and see how raj 'kamaal' films react.